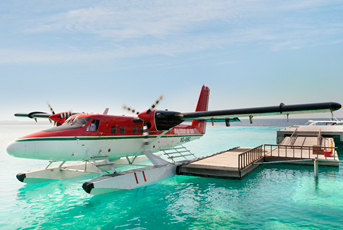 A resort doesn’t get much more chic than this… Located on the Fesdu Atoll a 25 minute sea plane ride from Malé, the W Retreat is one of our most extravagant and sought-after resorts for Maldives holidays. The contemporary feel and luxurious décor, along with amazing views over the lagoon, will make you feel like you’re in paradise. The bungalows feature beautiful traditional exterior, while the interior is ultra-modern, just as you’d expect from the W Group. Comfort and lavish accents are re-occurring themes at W Retreat. 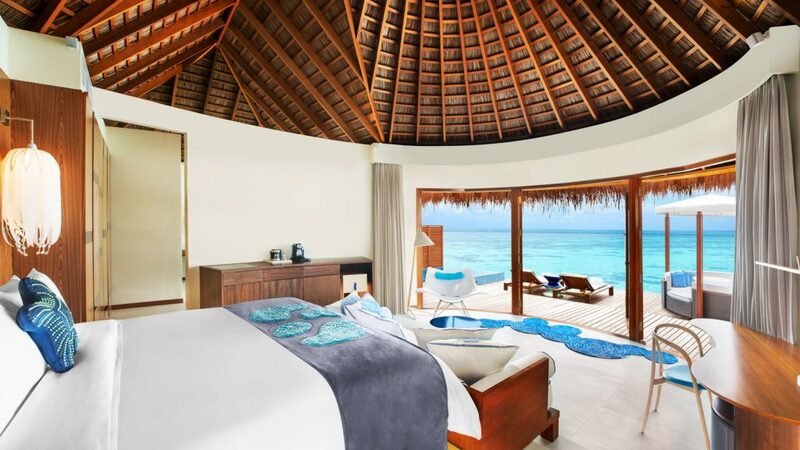 The sweeping white sands and crystal clear waters teeming with tropical fish will make you want to return to this unique retreat over and over again. 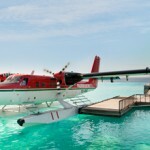 Everyone at W Retreat go that extra mile to ensure you get the Maldives holiday of your dreams. The Beach Oasis (188 sqm) is spacious and include a comfortable king-sized bed, open-roofed bath area, rainforest shower, a double bed day and a private viewing deck with thatched roof. 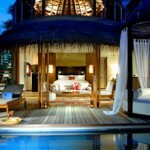 These rooms are located by the stunning beach. For guests travelling in a large group, there is also a possibility to connect rooms. 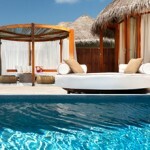 There is also a private plunge pool to enjoy. 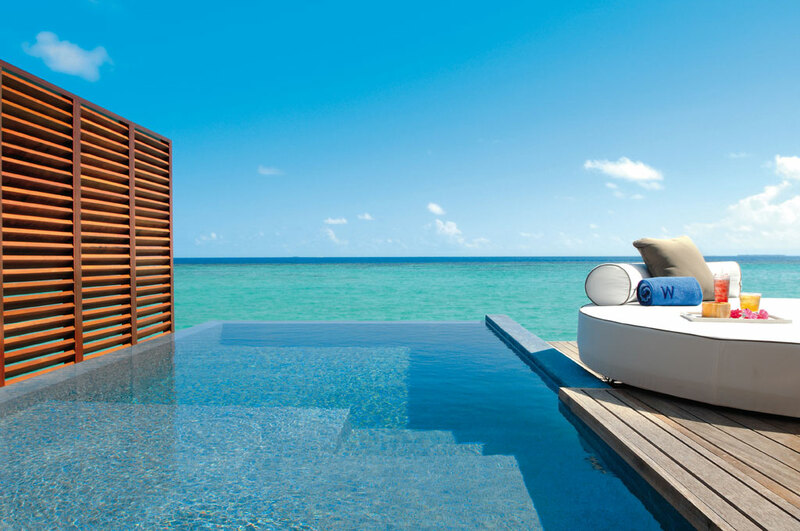 The Ocean Oasis (146 sqm) has the same luxurious amenities and facilities as the Beach Oasis, but are located directly over the inviting waters of the Indian Ocean just off the west shore of the island. 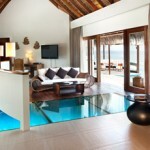 The living room and the shower have glass floors and your private plunge pool is located above water. 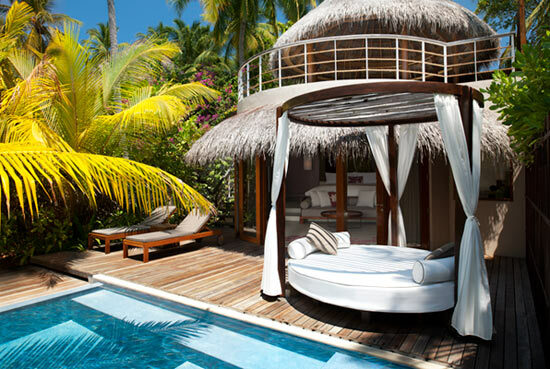 There is a lovely circular daybed on the private sundeck. The Ocean Oasis also includes underwater lightning. 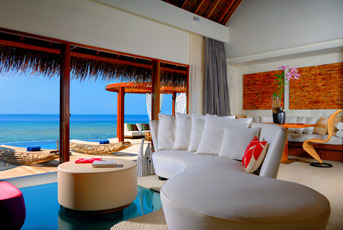 The Lagoon Oasis is an overwater one-bedroom lagoon paradise with views sweeping across the glittering lagoon. 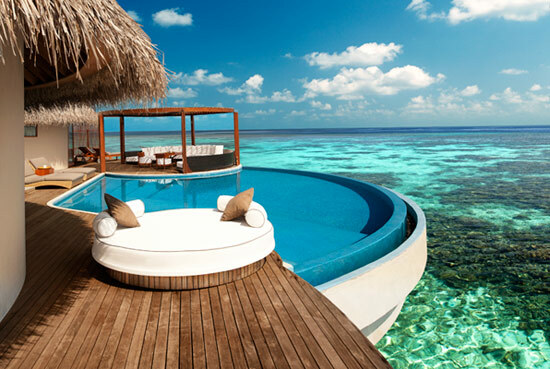 With direct lagoon access swim, snorkelling and explore your leisure. 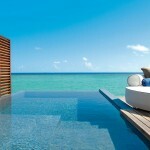 On the privacy of your own sundeck take a dip in the private plunge pool or recline on your daybed. 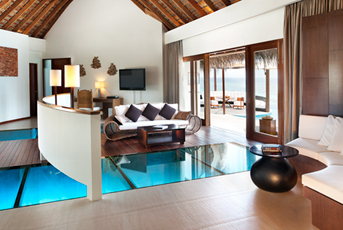 Watch the marine swim by through the glass-panel floors. 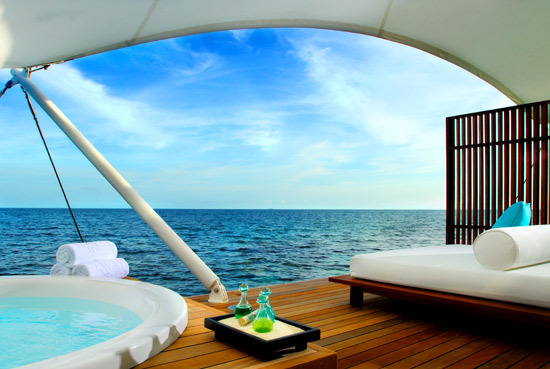 The Ocean Escape is the ultimate place to unwind and relax. 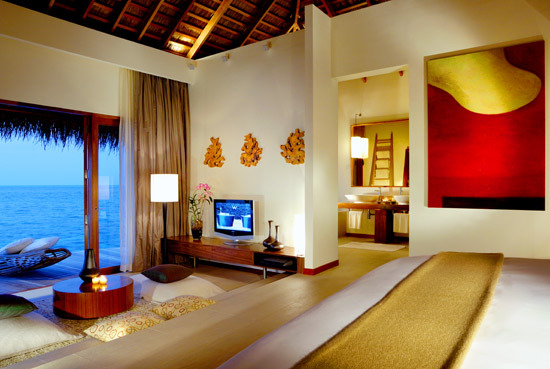 This two-bedroom junior suite stretches over the water to make the most of the stunning Indian Ocean views. 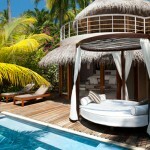 Featuring a spacious sun-kissed deck and fabulous infinity plunge pool the outdoor space is enchanting. 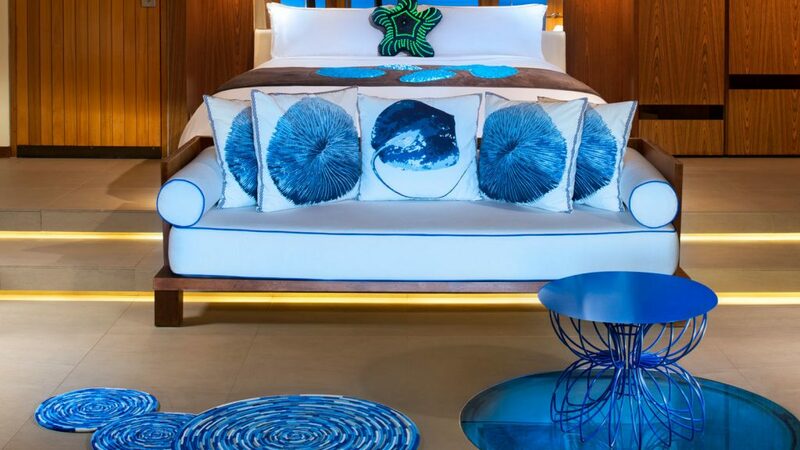 With direct ocean access you can snorkel and swim at your leisure, but if you want to watch the marine life gently swim by from your room take a look through the glass panels in the floor. This accommodation also has plenty of space to lounge and get comfy with cosy seating and dining areas. 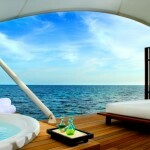 The Ocean Haven (323 sqm) is simply unique with its wraparound sundeck, 50” plasma TV and glass-floored living room. 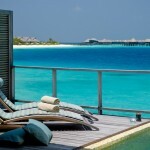 The panoramic views of the Indian Ocean are best enjoyed from your private over-sized infinity pool with Jacuzzi seats. This two bedroom villa will blow your mind away, with its cathedral ceiling in the Master Suite and the amazing sundeck with direct access to the lovely lagoon. The Ocean Haven also features an entertainment area and a kitchenette with delicious refreshments. Guests staying at W Retreat can take advantage of many exclusive facilities and activities including: high speed internet, a shop, a unique freshwater swimming pool, wind surfing, kite surfing, towel service, scuba diving in the incredible corals and hand line fishing. When you have spent enough time relaxing in the warm waters, you can play volleyball or football at the beach, go canoeing or play snooker or Boca. 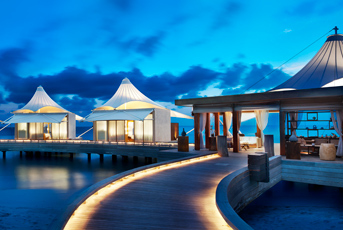 The ENERGY Recreation Centre exists so that you can get the most out of your Maldives holidays. 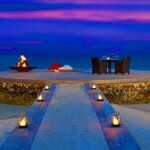 The amazing Away Spa is favoured by many a guest at W Retreat. It houses Shiatsu therapy, Ayurvedic treatments, aromatherapy, Swedish reflexology, meditation and yoga sessions just to mention a few treatments. Just like the whole resort, The Awat Spa is based around giving you the best, most peaceful time surrounded by luxury and beautiful nature. 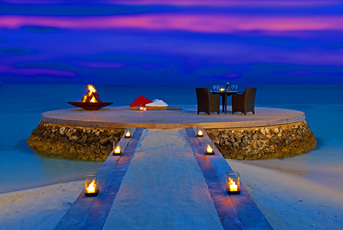 There are no fewer than seven restaurants and eateries at W Retreat, meaning that you‘ll never get bored dining on this stunning island. Even though they all have different culinary themes, they have one thing in common: the cuisine is simply amazing. 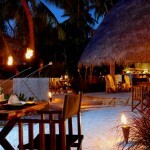 Kitchen on the west side of the island seats 68 people and is arguably the most popular restaurant at the resort. No wonder – the satisfying, soulful atmosphere and bistro dishes make for a wonderful dining experience. 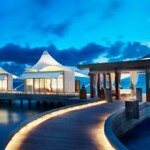 The design is elegant and luxurious, just like W Retreat itself. Fire is a smaller restaurant with al fresco BBQ food and a party atmosphere. Here you can kick your sandals off on the beach while indulging in good, hearty food and enjoying excellent live entertainment. 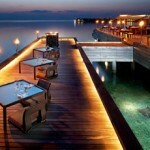 Fish is the sea food restaurant of W Retreat. 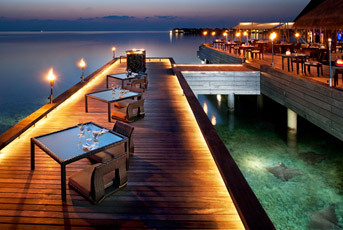 Here you can sample the freshest fish dishes on the island in front of the stunning ocean. 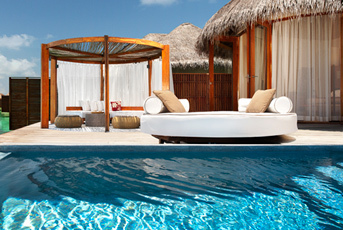 Wet is a part of a swim-up bar at W retreat. 76 people can dine here, but you can also sip on funky cocktails and order snacks from here too. Sip is an intimate restaurant which lets you enjoy the best of sushi, cocktails, caviar and oysters. Why not have a glass or Champagne when the DJ is performing? 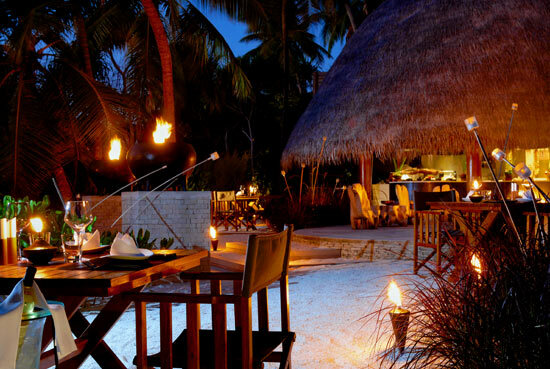 This restaurant is the ideal place for a casual romantic evening. 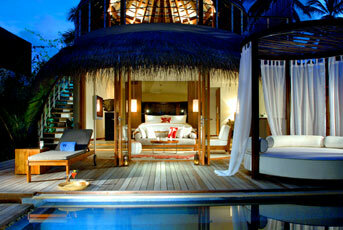 Simply Maldives Holidays offer Bed and Breakfast, Half Board and Full Board options for guests staying at W Retreat.